So, you probably already know by now that Guild Ball is one of my favorite games that exists right now. I've let my love for the game show numerous times. So when I opened my e-mail this morning and saw this in there, I let a very audible "SQUEEE!" Though, since I'm the only one here in the office (nobody else shows up until around 7:30 or so), nobody else heard it, thankfully. Light on their feet and menacing as the cold, this pack of hunters brings the sharp sting of winter to the sport. Their fearsome captain, Skatha, commands the pitch with slick footwork and a passing game as unrelenting as winter's howling winds. Opponents had best be wary with the ball against her pack. One misstep and their watchful protector Snow will fetch the ball and pass it to their feral striker, Ulfr. This lone huntsman lives for the rush of an ambush, targeting prey who stand between him and the goal post. To ensure their striker makes the shot, Veteran Hearne lies in wait, ready to ensnare his prey and show them the cruelty of winter. His furs now matted with frost, Hearne proves even the most ardent supporters of the Sun Father can be swayed by the Winter Queen. WHY DO THESE FERAL PLAYERS BELONG ON YOUR ROSTER? • The followers of the Moon Goddess are natural born Guild Ballers, thanks to the skills of their new striker and new captain—say hello to more aggressive scoring strategies! 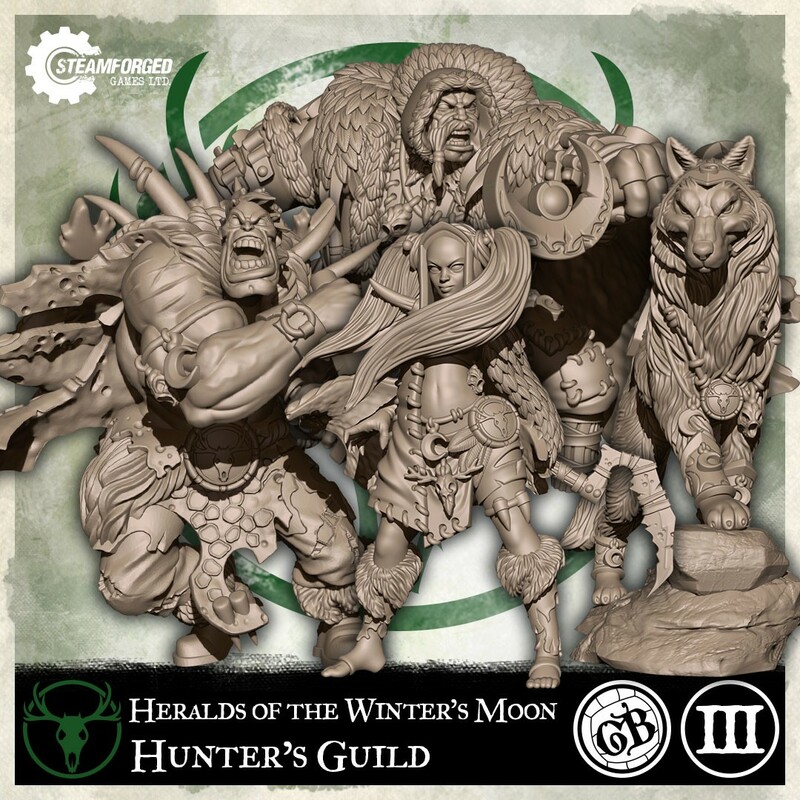 • If you're a Hunter who wants to maximize your team's scoring potential and wield the unforgiving power of the winter's moon, pre-order this expansion today.